Dimensions : 109 H x 81 W x 61 D cm. Original : Private collection, Allier-France. 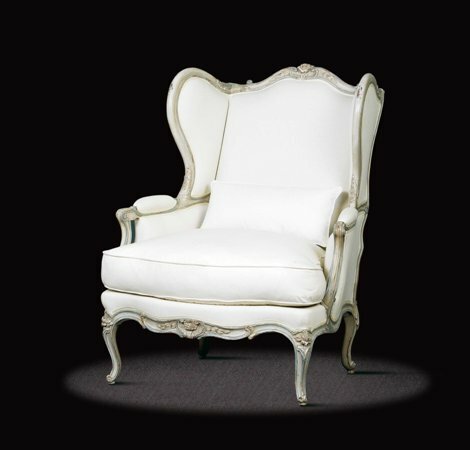 This Louis XV bergere Created by talented woodsman Jean-Baptiste Cresson, this magnificent wide and comfortable winged chair invites one to relax. Known as a panelled or winged chair, it resembles a fireside bergère with its low seat, ample dimensions and functionality, but is rarer with its elegant and bold ornamentation which gives it its noble bearing. 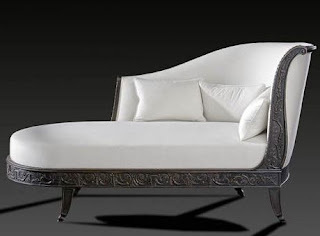 A succession of generous serpentine curves creates a rhythm in the piece’s welcoming lines marked by sculpted plant motifs which date this rare and elegant chair as from the mid-18th century. This master antique furniture cabinet-maker worked in 1741 in Rue de Cléry in Paris ; he descended from a long line of cabinet-makers apprenticed to other famous woodsmen such as Nadal. 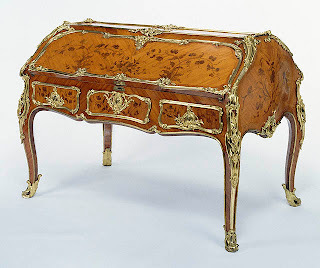 A remarkable feature is the excellent quality of this master craftsman’s work, in both the Rocaille and Louis XV styles. If i could afford this i would ruin it instantly by drooling all over it. These boast of your rich artistic senses make the observers envious. Anyone sitting on the chair would really feel like a king.